I’m Offended and I’m Not Going to Take it Anymore! I’m not easily offended but in recent months I have become very offended. After all, if homosexuals, Indians, Blacks, Hispanics, sports nuts, radical leftists, atheists, media moguls, and others can be offended, then I have that right also. It has become axiomatic that the right not to be offended is in the U.S. Constitution; however, I have read our Constitution, memorized some of it, studied it, but cannot find in it the right not to be offended. Maybe it’s in the same place the Court found the right to an abortion and the right to homosexuality. I wonder if being a Bible believing Christian disqualifies me from being offended. Maybe I’m not permitted that luxury. Whatever the answers to the above, I want to go on record to the world that today I am not just offended, but very offended. I may even stomp my feet and hold my breath! I’m offended that everyone is so panicky about offending Muslims, Methodists, and Manichaeists but consider it open season on Fundamentalists. From Atheism (which is a religion although it doesn’t have any holidays except April Fools’ Day) to Zoroastrianism, everyone seems to be very “touchy.” Well, I’m also “touchy” and I want everyone to know about it. 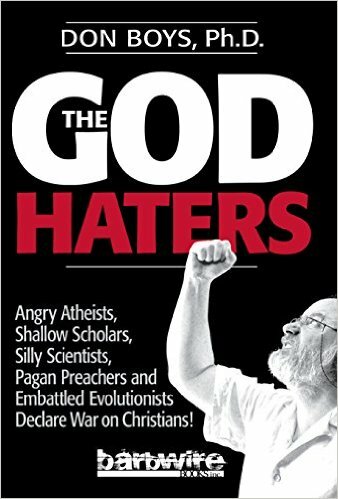 I’m offended that the God Haters (note the shameless use of the title of my eBook!) are offended by a manger scene while I can’t be offended by movies and television shows that present fornication, adultery, and perversion as accommodating, affirmative, acceptable, if not admirable; and at politicians whose first and most important qualification seems to be the ability to lie? I mean, I’m really offended. I’m offended by homosexuals and the media who bully, badger, and blackmail decent people to accept, even approve, perversion? I’m offended that perversion has been accepted as normalcy and those of us who believe it is wrong (as sane people have believed for thousands of years) are considered to be abnormal and haters. I’m offended at megapastors and television evangelists who distort, denigrate, and even deny the Bible to build a personal empire while living as drunks, deviates, and dopeheads! I’m offended by loosey-goosey Evangelicals who polish Obama’s apple trying to make him look “religious” while they pretend to wear the mantle of Old Testament prophets. I’m offended by educators who threaten children who bring a toy gun the size of a quarter to school and expel students who only draw a picture of a gun! 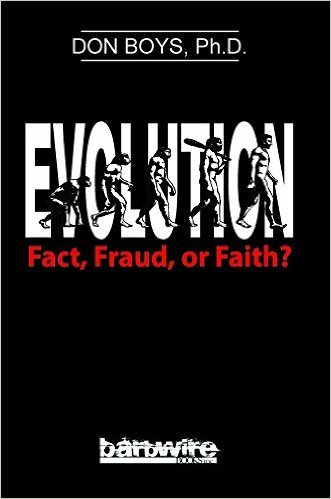 I’m offended at stupid educators who arrive at school each day and park their brains at the door along with their common sense. I’m offended by the incredible incompetence of public educators from Kindergarten through graduate school. I’m offended that over a million unborn babies are butchered annually in America and those of us who want to protect helpless children and women are considered cold, callous, and cruel! I’m offended that an animal-rights group has filed a lawsuit seeking “legal personhood” for chimpanzees in the state of New York, the state with the nation’s highest abortion rates! I’m offended that robbers, rapists, and racketeers walk our streets while the bandits, boozers, and bunglers in Washington are praised, pursued, and pampered. I’m offended by PETA and other animal fanatics for trying to shame me for believing that animals are not children when PETA kills 2,000 dogs and cats each year! I’m offended that the media and self-seeking politicians have made Nelson Mandela into an international icon when he was a Communist terrorist and traitor to his own nation. I’m offended that politicians quickly lead our nation into foreign wars that are no threat to us and then are not called to an accounting in their desire to force “democracy” upon uneducated, uncouth, and unresponsive people. I suppose I am naïve to think that there is an antidote for my offense-propensity and no doubt it is silly to think decent people will be treated fairly by others. But I’m a believer. 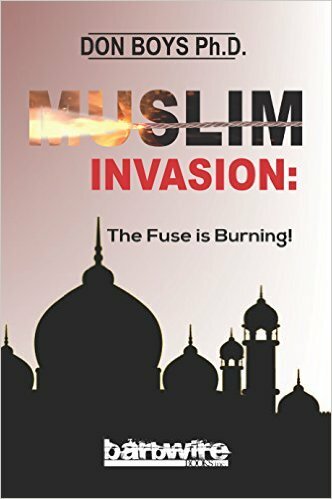 I also believe Muslims will actually become peaceful; the Middle East nations will become Gardens of Paradise where civility, kindness, justice, and biblical principles will prevail; Obama will be impeached, then become Born Again and become a missionary to Pakistan; Taiwan will retake Red China; Pepsi will sell for a nickel again and any day they’ll find Jimmy Hoffa, Judge Parker and Amelia Earhart playing Monopoly in a Bronx yogurt joint? Yes, I’m as easily offended as anyone and I’m not going to take it anymore. You ask, “What are you going to do about it?” Well, I’m not sure but I’m offended that you asked. And to the drooling New Atheists and the God Haters (there, I did it again) out there, I wish even them a Merry Christmas and if that offends them, too bad. They’ll get over it. http://bit.ly/1iMLVfY Watch my eight-minute videos of my lecture at the University of North Dakota as I challenged New Atheists to put up or shut up.